An average American spends around 1,811 hours a year at work. It sounds shocking, but we’re all not that far behind. With so much time spent in the office, no wonder our surroundings became so important to us. Today our jobs are a part of our extended-selves and we want to work in offices that represent our authenticity. 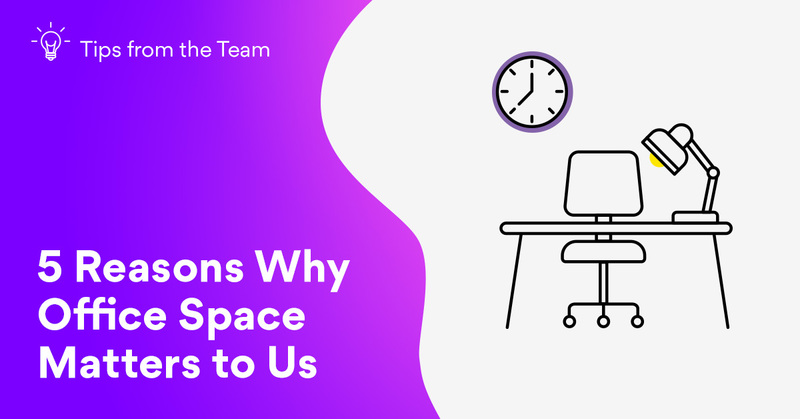 At Tesonet we have many reasons for putting so much effort in our office space. The effects we see in performance and wellbeing are overwhelming. So let’s take a look at a few reasons why we care about our office so much. First and most obvious – our surroundings affect our mood. We say that we embrace polite aggressiveness when doing business, but this doesn’t apply to our inside communication. We want people to feel good here because these positive emotions evoke creativity. From the moment you walk in, you feel welcomed and comfortable here. Convenient working spaces and areas to relax are essential to the overall wellbeing. We know that we’re not going to solve all the problems in the world, but if it can help people forget the struggles in the outside world, we’re happy! Almost all jobs have some kind of collaborative tasks involved. And we’re definitely more productive when we’re working together in aesthetically and functionally designed office space. When you have rooms already prepared with everything you need, teams can just go and start working straight away. They don’t have to waste time trying to bring that whiteboard from another room. And though tools like Slack do make virtual collaboration easier, nothing beats physically sitting in a room and having a real discussion. Big open spaces can get a bit loud, especially when it’s an enormous team with loads of personalities. Various sounds all around you can be a huge distraction, and headphones are not always a good solution. And people shouldn’t be forced to wear them! So it’s essential to find a balance. For instance, our teams work in separate spaces depending on what they do. We have plenty of room for going to work elsewhere if you feel like it – comfortable seating areas or silent rooms are perfect for that. If you’re a young, energetic and creative team, you want your office to represent that, right? Today offices are seen as a physical manifestation of a company’s values and ethics. And layout also plays a huge part, just like the interior – for instance, our HR office is easy to reach with the doors wide open. Our office administrators are always visible – you can’t really miss them and they are always ready to help. All these things that might seem irrelevant to others, help us to further shape our company culture and make it stronger.